With over 30+ years of combined experience in the IT field, IT Ecology consultants deliver APM (Application Performance Management) services and consulting around relevant processes (ITIL/Agile/DevOps) in South Africa and abroad. Pre-production performance testing, profiling, analysis and tuning are critical activities of the APM process for any new application or new version of an application to ensure that production performance issues are kept to an absolute minimum before deploying. The enterprise is ever changing and actionable information when changes in application performance occur must be visible by a multitude of stakeholders. Also, alerting must be effective to inform stakeholders of a problem before it impacts production users significantly. IT Ecology offers services and solutions that ensure visibility through customisable dashboards designed with the specific audiences in mind. 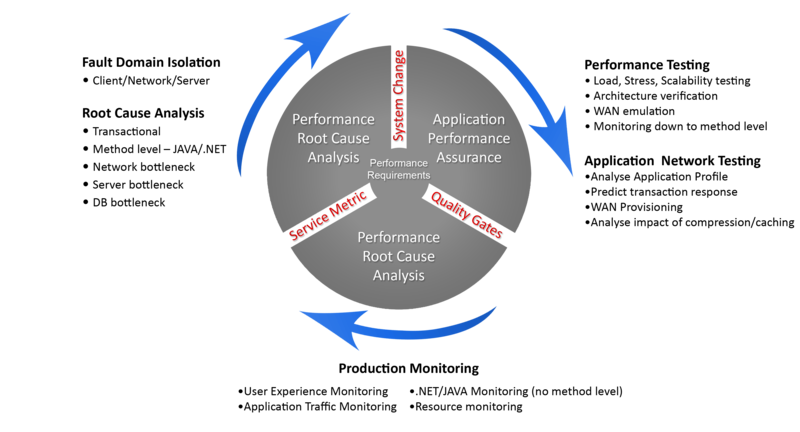 The impact of changes cannot always be anticipated and hence occasionally, monitoring in production may show that a performance problem exists. Finding and resolving such a problem quickly and with as few resources as possible, is the key to successful APM. We at IT Ecology pride ourselves in being able to provide services on a vast array of products and, in doing so, have built the knowledge and skills to support these products. For all supported products (see products page) we possess the capability of implementing, maintaining, training and using the product.